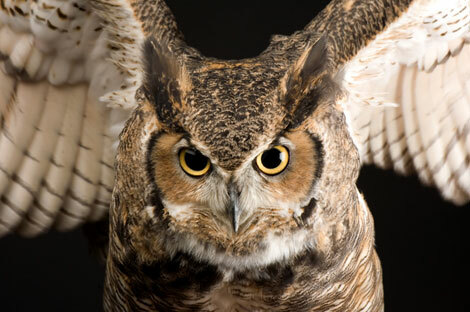 This animal, as you can see, is called a great horned owl. 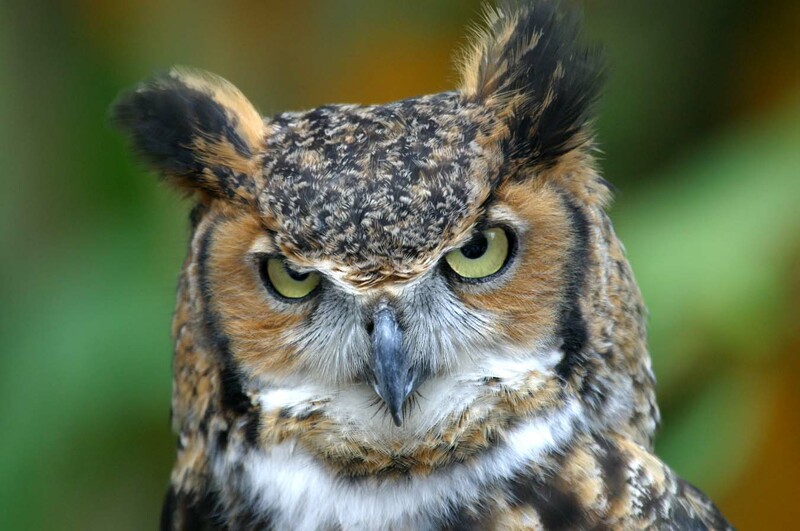 This owl has an instantly recognisable hoot. It will choose a favourite perch, and when it spots it’s prey will swoop silently down to snach it up. Females lay between one and five eggs,and both the male and female will care for the young for at least six weeks after hatching. 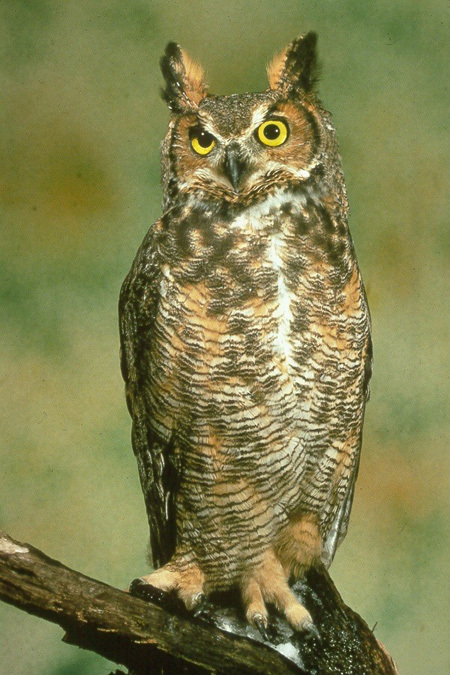 It is the largest American owl.